Oh no! Spotty Bear has lost his spots! Can you help him find them? 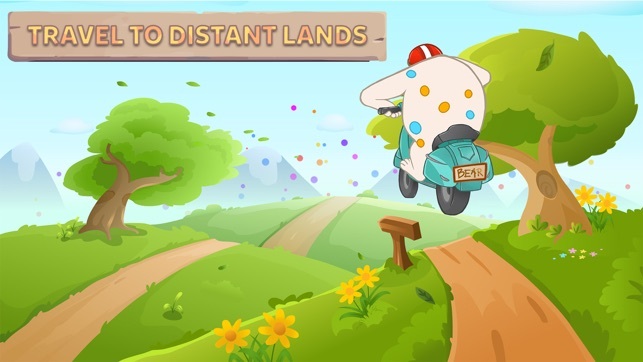 Travel to magical lands to play, meet Spotty’s friends and help him find those missing spots! Filled with delightful music and a captivating narrative, this fun-filled adventure is an exciting way for your child to practise their colours and numbers. They can play again and again because each time the number, colour and hiding place of the spots is different. And there are lots of delightful animations to discover in each land. 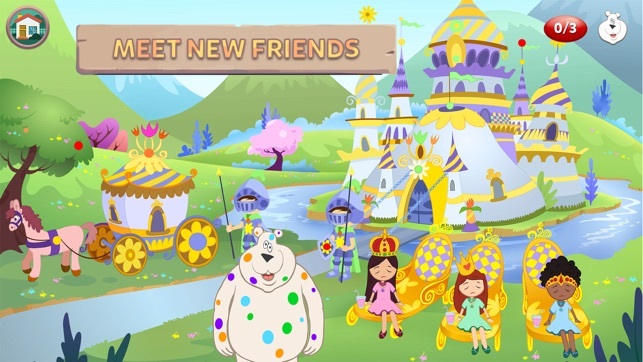 Created by musician Lionel Robinson, Spotty Bear started out as a bedtime story for his daughter and has been lovingly developed into an app by Chaos Theory Games. * Advert free! No in-app purchases or third-party advertising so your child can discover, play and learn uninterrupted. * Recommended for toddlers and pre-schoolers. 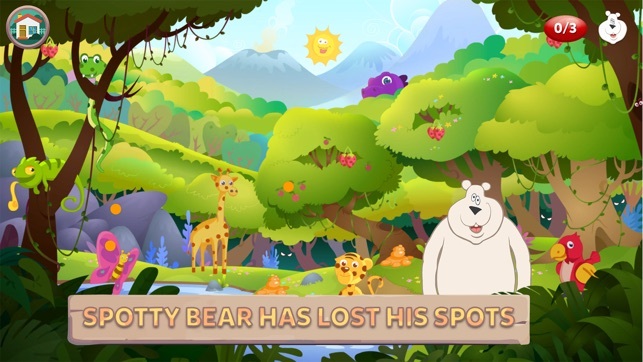 * Use your finger to explore magical lands and find Spotty’s spots. * Pinch the screen to zoom in and out. * More than 50 animations to discover. * A fun way to practice counting and colour identification. * Fixed audio issues in Land of Ice and Snow. * Fixed animation issues in Jungle Land and Sad Princess Land. © Copyright 2018 Lionel Robinson. All rights reserved.